English Eccentrics are renowned for fashions and accessories created in their lively, eclectic printed textiles. This relaxed, elegant ensemble formed part of the 'New Bohemians' collection. Dating from 1994, the devore velvet features heraldic lions and unicorns. 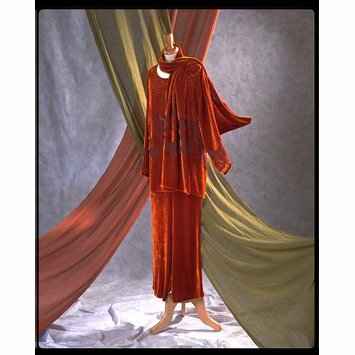 The rich orange-rust colour was suggested by the robes worn by Tibetan monks. 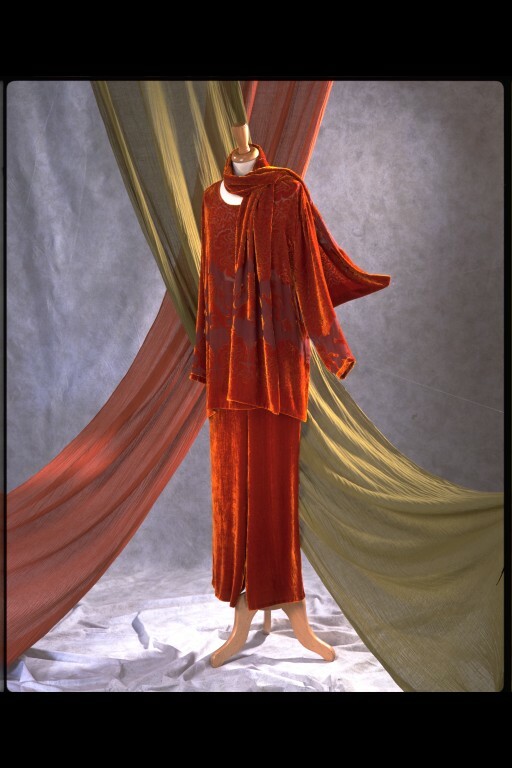 Woman's ensemble comprising rust velvet devoré tunic, scarf and trousers with 'Tudor' motif. 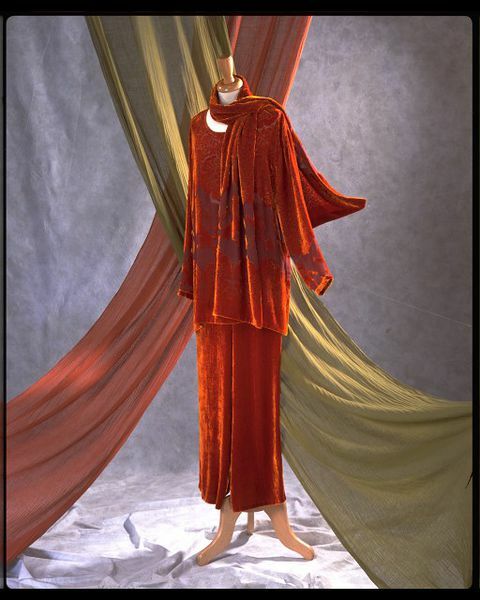 Ensemble, rust velvet devoré tunic, scarf and trousers with 'Tudor' motif, designed by Claire Angel for English Eccentrics, UK, Autumn/Winter 1996-97. De la Haye, Amy (ed.). The Cutting Edge: 50 Years of British Fashion 1947- 1997. London: V&A Publications, 1997, Plate 72.